What Is A New York Sober Coach? A Sober Coach in New York helps facilitate the actions necessary to remain free from drugs and alcohol, as well as support the client through challenges arising during everyday activities. Becoming abstinent can be like seeing the world with new eyes; for most New Yorkers new to recovery, especially for those returning after a relapse, a cab or subway ride can either be an entrance to a whole new world, or it can be a glaring ball of confusion, or it can be both. Manhattan can be wonderful and alive one moment; fearful and impossible to navigate, the next. When you're new new to recovery, you're especially vulnerable to allure of the old life. Anywhere in New York, a Sober Companion can provide personal assistance in 4-hour, 8-hour, 12-hour, or 24-hour shifts. This level of service is expensive, but many high-profile individuals benefit greatly from the experience. We provide an invaluable service for those New Yorkers who are resistant to remaining abstinent from drugs and/or alcohol, but who must do so due to legal, medical, family or contractual obligations. When a client is deciding what to do next with his life, anxiety and fear can be debilitating without the right support in place. Structuring daily activities can be a lot harder than one might anticipate. Relaxation, peace of mind, fun and happiness are hard to achieve in recovery without the necessary life skills. A Sober Coach helps support the individual in catching up with missed time and building & reinforcing application of life skills which either were forgotten or never learned. Individual goals are set weekly with each client to fit his/her personal strengths and challenges. 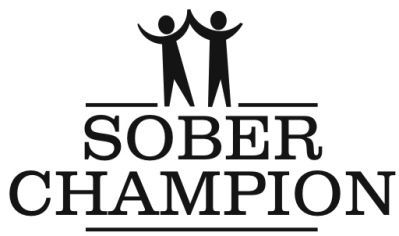 At Sober Champion, we use an empowerment approach to build self-esteem and confidence. A New York Sober Coach works with individuals at all stages of recovery, whether the client is leaving residential treatment, currently in sober living, in an outpatient/day-patient program, in their own home, in the process of transitioning from sober living/treatment to their own home, or recently relapsed. We initially meet with the client 3 as often as required (frequency & length of sessions are evaluated regularly). Meeting locales will vary depending on client needs, the client's travel/family/work schedule, etc. In addition, the sober coach is on-call by phone 24 hours a day, 5 to 7 days a week. This service alone can help prevent relapses and supports individuals with crises that come up in between sessions.